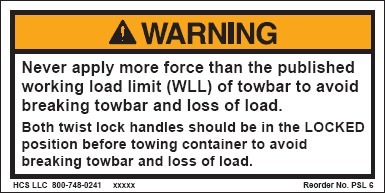 Towbar for towing ISO Containers. 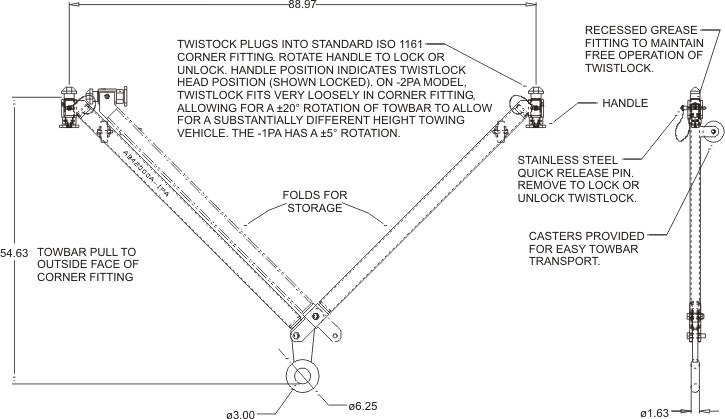 Newly designed twistlocking ends quickly secure to the bottom end apertures of ISO 1161 corner fittings and can tow fully loaded 40' containers weighing up to 67,200 lbs. 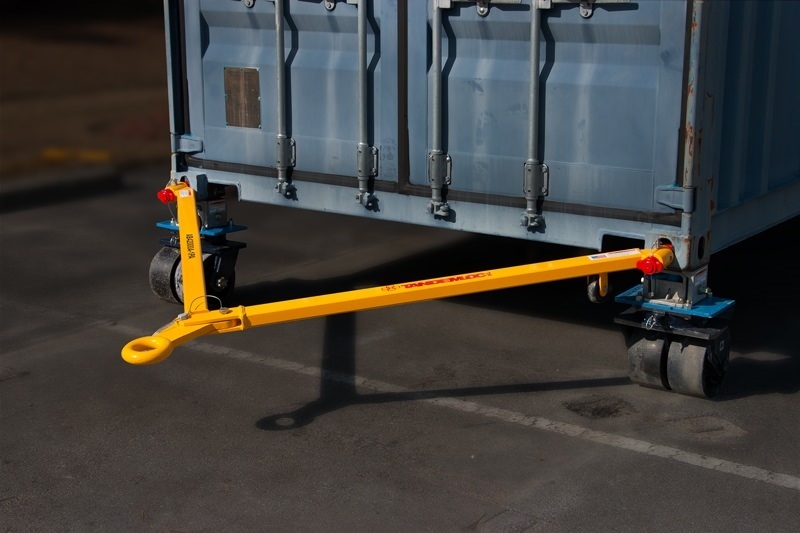 The AB42000A-1PA is our standard twistlock towbar that includes a 5 degree rotation. 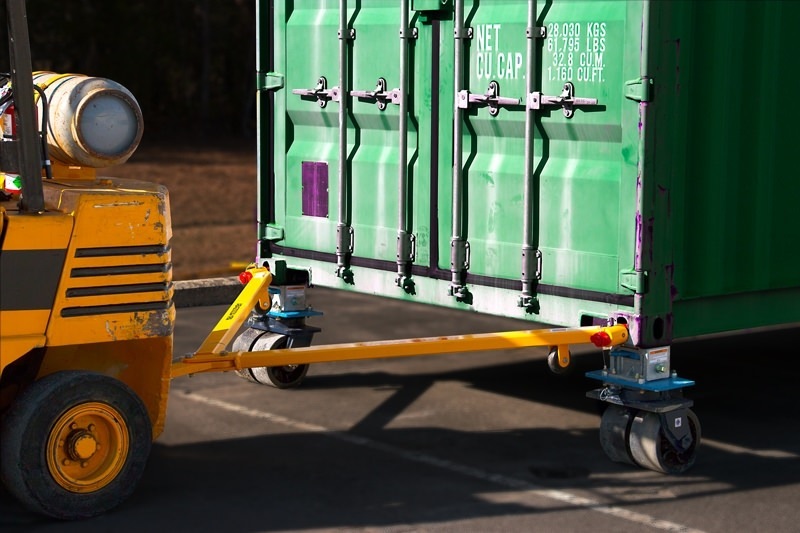 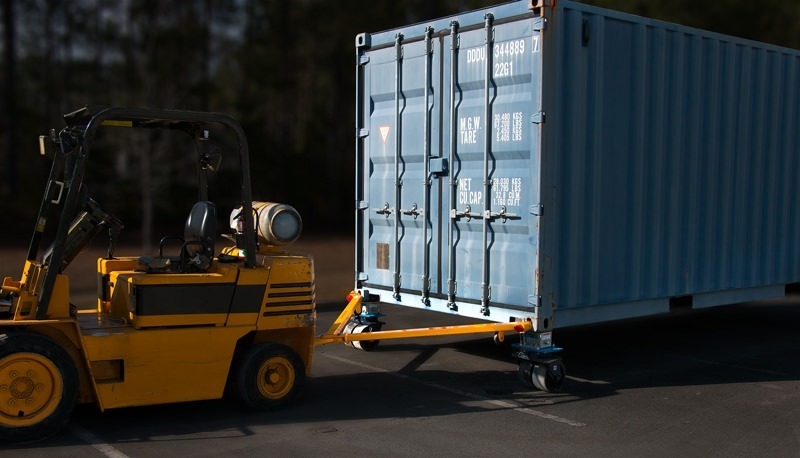 And the AB42000A-2PA is a variation of the 1PA in that the twistlocks have a looser fit, allowing for as much as 20 degree rotation of the towbar to account for the differing heights between towing vehicle and the container. 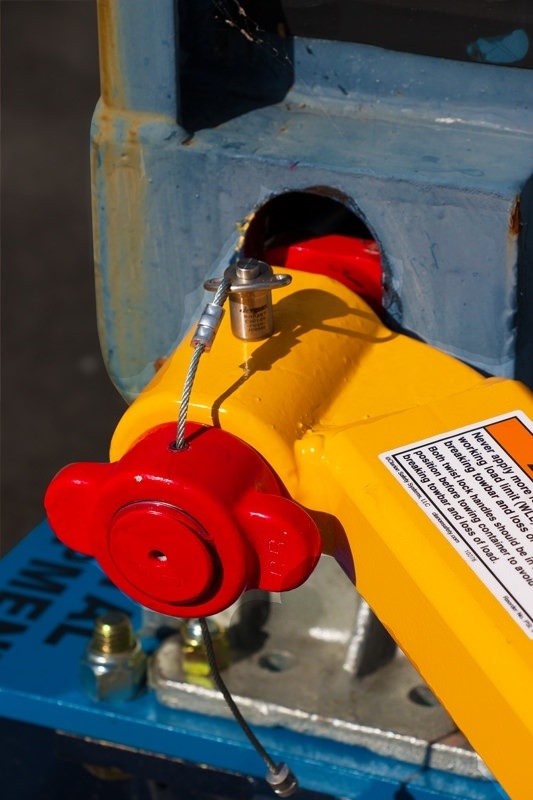 FINISH: Sandblast, thermal zinc spray base coat, safety yellow top coat.